He looks exactly like Sammy Davis Jr. ... True. It's so odd to hear him sing that. Sammy Davis and "I Dreamed a Dream" seem to be from 2 different eras. 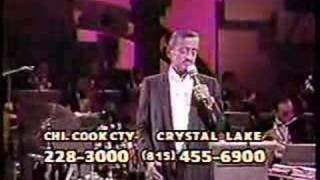 Sammy Davis sings I Dreamed a Dream Last singing appearance Sept 1989 Sammy Davis sings I Dreamed a Dream Last singing appearance Sept 1989.